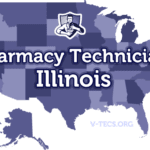 Prospective pharmacy technicians in Illinois don’t need to graduate from the training program or pass a certificate exam. However, technicians must register through the Department of Professional Regulation -as a prerequisite to employment- and renew the license annually. While the state does not mandate training or certification, many employers require Chicago Pharmacy Technicians to provide proof of training. Training programs at community colleges, vocational schools, private programs and the military equip graduates with the knowledge and skills to succeed on the job. 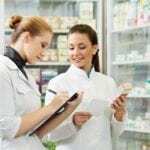 The following is a summary of the best Pharmacy Technology classes in Chicago, IL. Coyne College’s diploma pharmacy tech training runs for 42 days for daytime students and 70 days for evening students. All applicants must possess a high school diploma and be at least 17 years at the time of application. The coursework covers topics such as anatomy, pharmacology, basic communications, sterilization techniques and pharmacy law and ethics. The program also includes an externship experience, which gives students the opportunity to put their knowledge into practice. Graduates of the program are proficient at computer order entry, record keeping, mixing intravenous solutions and pharmaceutical calculations. Tuition is $14,865 not including books and other expenses. Financial aid is available for those who qualify. Olive Harvey College offers a Continuing Education Certificate for persons desiring to become a pharmacy tech. During the 8.5 credit training, students learn inventory management, dosage calculations, drug interactions, pharmacology and other skills that will help them to succeed on the job. After classroom training, all students must participate in the clinical hands-on training as a requirement for graduation. Graduates of the program have all the knowledge and skills they need to pass the national certification exam. In-state students pay $756 for tuition that does not include the cost of textbooks and other supplies. Graduates of Robert Morris University’s pharmacy tech program earn an associate’s degree at the end of the 15-month program. Course instructors equip students with all the skills they need to work side-by-side with licensed pharmacists. They learn how to manage inventory, fill out insurance claims and interpret prescriptions. Upon completion of the 92-credit hours, graduates can register for the CPhT test for national certification. Since the training involves a clinical component, the school requires all applicants to pass a background and drug-screening test as a requirement for enrollment. Tuition is $7,600 per quarter for full-time students (12 or more credits) or $5,067 per quarter for part-time students. Malcolm X College offers an Advanced Certificate in pharmacy technology. The 33 credit hour curriculum covers topics such as pharmacology, basic science, introduction to pharmacy technology, pharmaceutical calculations, introduction to pharmacy law, prescription processing, communication and clinical practicum I and II. The program is accredited by the American Society of Health- System Pharmacists. Applicants must submit evidence of completing high school, have no criminal convictions, pass interviews with the admissions committee and provide three letters of recommendation before admission to the program. Tuition for the program is $2937 and does not include the cost for textbooks, lab fee and other related costs. The 36-week pharmacy tech program at Everest College (Chicago Campus) covers areas such as anatomy, nutrition, pharmacology, administration, medical terminology and health care systems. Upon completion of the programs, graduates can register for the CPhT exam and get certified. Graduates are also eligible for employment at hospitals, medical centers, retail locations and outpatient clinics. Tuition for the program is $14,641 plus $884 for books and supplies. Harry S. Truman College is another college within the City Colleges of Chicago that offers a Continuing Education Certificate (CEC) for pharmacy technology students. 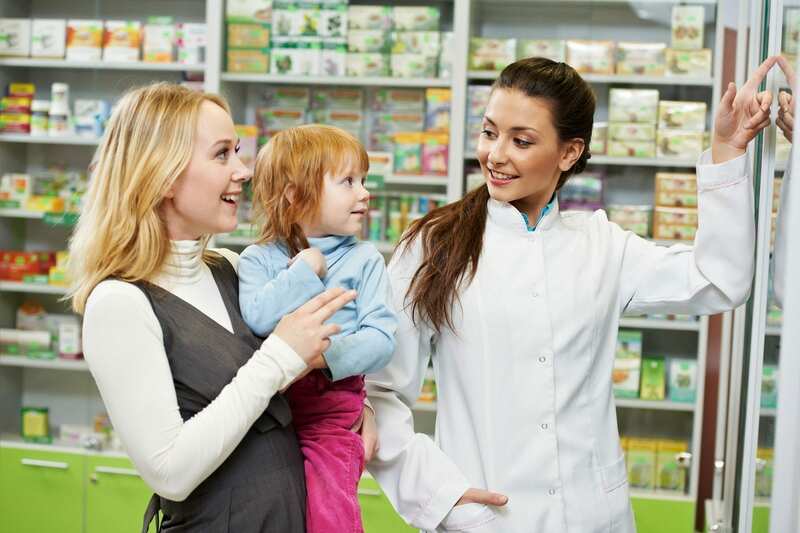 The curriculum covers areas such as drug interactions, medical terminology, inventory management, dosage calculations, and making sense of prescriptions. Following the theoretical component of the training, students must work at a medical facility as part of the coursework. The clinical practicum gives students the opportunity to put the theory into practice. Upon completion of the training, graduates can challenge the national certification exams to become certified. Tuition is $756 for in-state students not including textbooks and other supplies. Another member of the City Colleges of Chicago, Wilbur Wright’s CEC for pharmacy technician follows a curriculum that’s similar to other colleges within the group. This means that instructors teach medical calculations, medical law, insurance claims, pharmacology, drug interactions, and prescription basics to prepare students for the national exam and employment at hospitals and community pharmacies. Tuition is $756, but student should allocate funds for textbooks and other supplies.